William Blake (1757-1827) was an English poet, painter, and printmaker. Largely unrecognized during his lifetime, Blake is now considered a seminal figure in the history of poetry and visual arts of the Romantic Age (1800 to 1850). During his adult life, he was dismissed as a lunatic and endured countless rejections and betrayals from the local culture and society that forced him into isolation and depression. Yet he never stopped creating... art, poetry, and the illuminated manuscripts that combined both into a new art form. At the time of his death, his illuminated book, "SONGS OF INNOCENCE & EXPERIENCE" (published when he was 27 years) had sold only 30 copies throughout his lifetime! And yet he still kept creating! "FALLEN MONSTERS" celebrates the resiliency of the Creative Spirit, in Blake and in all committed artists, to survive the onslaughts of trauma and other attempts to oppress the joy of creation. William Blake's life, his visionary art and his poems inspired the creation of rituals to experience these processes. These rituals were discovered and developed over a 10-week workshop dedicated to exposing patterns of oppression to the creative spirit by threats of shaming, blaming, ridicule, abuse, and judgmentalism on the self &/or on others. Once exposed, we defused these threats by earning enough trust between the Child and the Adult functions of the Self - an internal contract - that we applied to the creation of Fallen Monsters. Musical director Sylvi chose eight of Blake's "Songs of Innocence & Experience" that she developed melodies for. 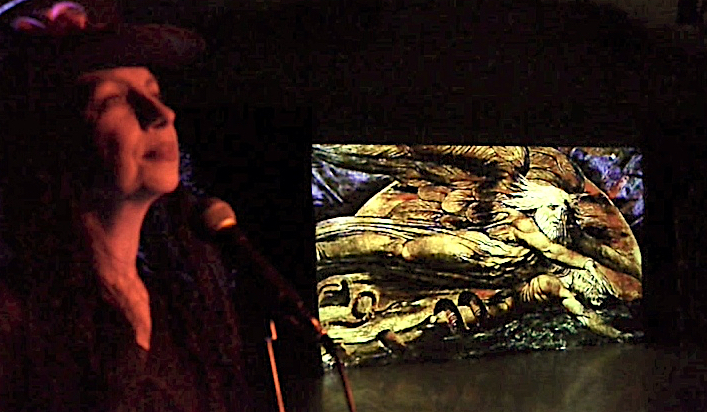 I downloaded a series of images from Blake's many paintings for a film collage to projected onscreen while Sylvi sings these songs. 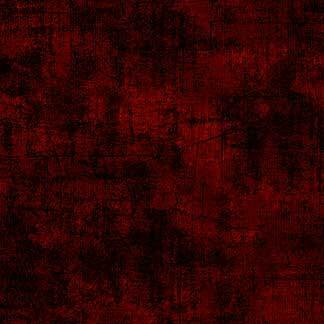 For my spoken but unseen role as the Voice of Oppression, I announce a series of "demonic mantras", from behind the audience -- negative messages we've all heard from parents, teachers, schoolyard bullies, the workplace, the world -- OBEY THE RULES, YOU ARE NOT ENOUGH!, YOU'RE NOT FITTING IN!, SHUT UP! etc etc. Meanwhile, seven performers explore a spectrum of visceral responses to oppression while finding their way to the eternal delight of creation. The performers made monster masks inspired by how we, as Children, perceived the Adult Monsters behind these oppressive messages (masks that also appear in the production). Who Carry the Torch that Ignites the World.